We have stated more than once before that the probably most enjoyable thing on a hot summer day is a trip to the beach. Would you argue with that? Of all fun summer activities, a day spent at the beach is the most iconic one for sure. After all, summer means sun, sand and water. 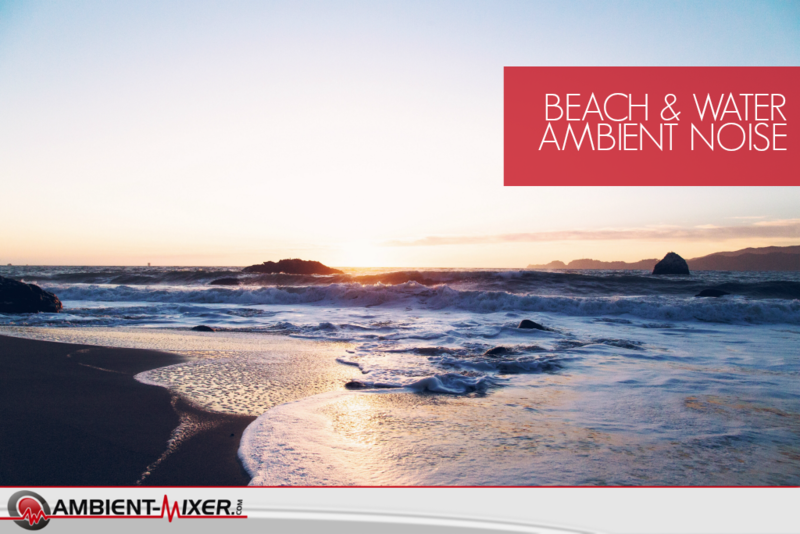 Thus, lets venture forward with Ambient-Mixer.com to explore the many usages and benefits of sounds directly from the beach. On rainy days, during winter or simply to cope with work stress, closing your eyes and dreaming yourself to a peaceful beach will instantly relax you. Bad weather doesn’t matter when your mind and heart are relaxing on a beach towel with your feet in the warm sand. The stress of a hard work day drops from you when you can just lie back and relax. Tune up some of the relaxing beach ambient noise mixes below as your relaxing background sound. Having a beach-themed party? Yes, you don’t have to go to the beach for that. With the right decoration, snacks, drinks, dress-code and of course background music you can create a beachy feeling in your garden or apartment as well! In an earlier article we have already explored why you need music for your videos. Depending on the topic of your videos, sounds of a lively beach or waves splashing on the sand may the right thing for you. Especially vacation videos or a video created out of vacation photos from your summer vacation at the beach can benefit from some underlying beach sounds. Splashing waves, seagulls, wind chimes… Watching a slideshow put together of vacation photos will transport your family members, friends and colleagues right there. Music with a singing voice and lyrics are often too distracting when you really have to concentrate. This is especially unnerving when you are studying, trying to write or read a book. Instead of music that draws your focus away from what you have to or want to do, pick a relaxing ambient mix from a lonesome beach. Then, it’s just you, your books, the waves of the endless sea and some birds high above. Music played during a meditation should be slow and calm. This is one of the principles of meditation music. This is also true for the calming sounds of running water or splashing waves. Natural sounds are what we are familiar with and what sets our body and mind at ease. Try putting on some beach sounds or the sounds of a tropical waterfall for your next autogenic training, meditation or yoga session. It’s also created a great background atmospheres for massages!